In Summer 1990, Caroline and Joanna are sent to stay with their great aunt, Dora, to spend their holidays in a sunlit village near the Forest of Dean. The countryside is a welcome change from the trauma they know back home in the city; a chance to make the world a joyful playground again. But in the shadowy woods at the edge of the forest hide secrets that will bring their innocence to a distressing end and make this a summer they will never forget. Years later, a shocking act of violence sends Joanna back to Witchwood. In her great aunt's lonely and dilapidating cottage, she will attempt to unearth the secrets of that terrifying summer and come to terms with the haunting effects it has left on her life. But in her quest to find answers, who can she trust? And will she be able to survive the impending danger from those trying to bury the truth? 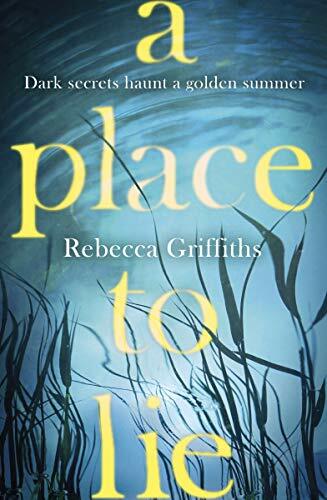 In A Place to Lie by Rebecca Griffiths I found the first chapter slightly puzzling but powerful. I was intrigued. In the summer of 1990 sisters Caroline and Joanna were sent to stay with their great aunt. The somewhat sleepy village was a contrast to their town lives and their great aunt seemed happy for the girls to do what they wanted in the main. Years later Joanna returns to the village and the house. Will there be a resolution to both the issues of the past and of the present day? The story alternates between the two time frames. It quickly becomes clear that there have been some issues in the girls childhood at the time of their stay with Dora their great aunt. As is often the case the narrative is one of a “gradual reveal” of what happened in the past and its impact on current events. Some of the narrative worked well for me here. Descriptively the writing is good given a feel of rural childhood and characters in the village. Indeed some of those characters worked well for me too. Dora was interesting and colourful and Mrs Hooper, who taught Joanna piano, struck me as convincing for example. However some of the scenarios in A Place to Lie did strike me as unlikely and unconvincing. There were certainly occasions where I simply felt that it was highly unlikely that what was in the narrative would have happened in the way they were described. Equally I did find other characters struggled to become real for me. I found this a little disappointing as the author’s previous book, The Primrose Path, was a book I really enjoyed and would recommend. All in all this was not a bad story but I simply didn’t find it compelling. Parts of it worked well, parts did not.